O.C. Zienkiewicz, R.L. 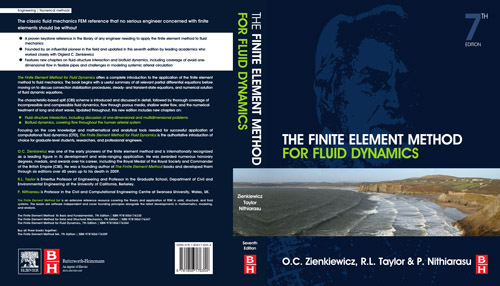 Taylor and P. Nithiarasu, The finite element method for fluid dynamics, 7th Edition, Butterworth-Heinemann, 2013. P. Nithiarasu, R.W. Lewis and K.N. Seetharamu, Fundamentals of the finite element method for heat and fluid flow, 2nd Edition, Wiley, 2014. O.C. Zienkiewicz, R.L. Taylor and P. Nithiarasu, The finite element method for fluid dynamics, 6th Edition, Butterworth-Heinemann, 2005. R.W. Lewis, P. Nithiarasu and K.N. 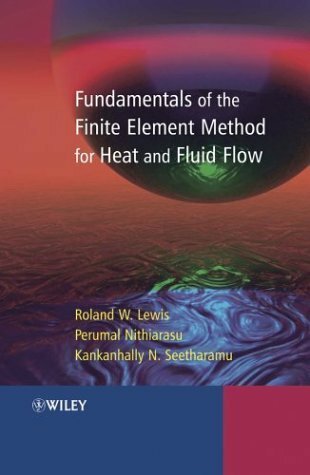 Seetharamu, Fundamentals of the finite element method for heat and fluid flow, 1st Edition, Wiley, 2004.